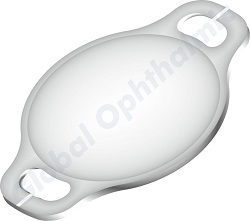 IRIS Glow is a iris fixation phakic and aphakic IOL. IRIS glow PS 3550 IOLs are meant for the correction of refractive errors, providing patients with high quality vision. These are inserted either on top of the iris or in between the iris and the natural lens. 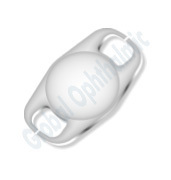 They are used to treat refractive error without removing cornea tissue or the lens. IRIS glow PS4064 IOLs are meant for the correction of refractive errors, providing patients with high quality vision. These are inserted either on top of the iris or in between the iris and the natural lens. They are used to treat refractive error without removing cornea tissue or the lens. IRIS glow PS4272 IOLs are meant for the correction of refractive errors, providing patients with high quality vision. These are inserted either on top of the iris or in between the iris and the natural lens. They are used to treat refractive error without removing cornea tissue or the lens. IRIS Glow PS5580 IOLs are meant for the correction of refractive errors, providing patients with high quality vision. These are inserted either on top of the iris or in between the iris and the natural lens. They are used to treat refractive error without removing cornea tissue or the lens. Looking for IRIS Glow Lenz ?